Gold was down last week till Wednesday but again gained momentum on Thursday. It saw a sharp rally from Wednesday’s bottom but pulled back once again on Friday. These all have the highest likelihood of impacting markets in 2018 and 2019 and thus creating volatility which will likely bring about a rally in gold prices. Since these series of events are either on going or about to happen, markets player are now following the wait and watch approach. While the DXY Index is pushing against the upper end of its five-month range, the dollar has been relatively stable since May. This is important as a rapidly strengthening dollar, as we witnessed last spring, has historically been a headwind for gold. Inflation– Besides the dollar, the biggest challenge for gold in 2018 has been rising real rates, i.e. interest rates after inflation. Higher real rates raise the opportunity cost of an asset that produces no income. Between January and early October, real 10-year yields advanced by 50 basis points. However, since then, real rates seem to have temporarily peaked near the levels reached in 2013 and hence its stability will bring in a rise in gold prices. Volatility- While real rates and the dollar are key fundamental drivers for gold, demand for a hedge against volatility also drives gold prices. With the exception of the brief correction in February, that attribute has not been in demand until recently. Prior to the recent swoon, U.S. equities were well on their way towards another year of double-digit gains. Unfortunately, this pleasant trajectory has been interrupted. Equity market volatility has doubled since early October. This is important, as gold has a history of performing best versus stocks when volatility is spiking. 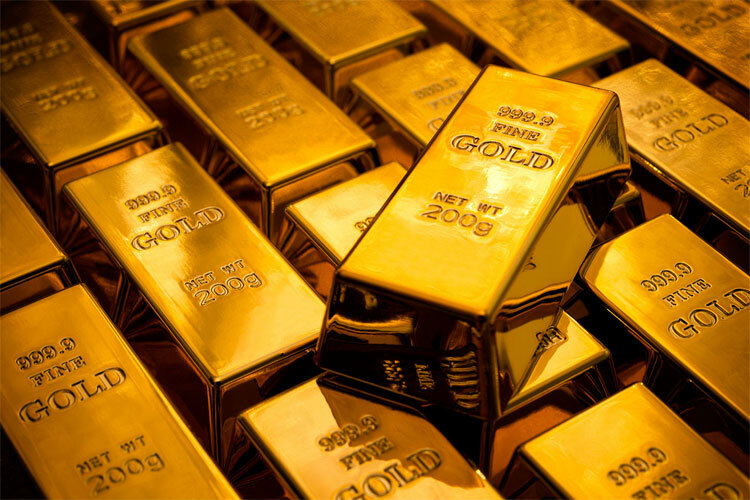 These factors have historically proved that in such a volatile environment gold always acts as a safe haven asset and a hedge tool. Give this characteristic of gold it’s obvious that any minor crisis will also bring about a rise in the demand for the yellow metal which will further push the prices higher. Moving to the domestic markets, sales have dampened this Diwali. Physical gold demand in India was lacklustre this week, with dealers offering discounts for the metal ahead of a traditionally busy festival week for the first time in at least three years, as high prices kept consumers away. Prices in India, the second biggest gold consumer after China, held near 33,000 Indian rupees per 10 grams, the highest since September 2013, ahead of the Dhanteras and Diwali festivals next week, when buying gold is considered auspicious. This Dhanteras, jewellers and bullion traders witnessed a drop in demand. Retail buyers are not interested in buying at this level. Furthermore, The Indian currency has lost more than 12 percent of its value against the U.S. dollar so far in 2018, making purchases of commodities denominated in the greenback more expensive. Post Diwali, jewellers still have hope of a rise in the demand during the wedding season. Like global investors and markets players, jewellers in India too are following this approach- to wait and to watch.